I have to admit that the Bolognese sauce was always my favorite sauce for pasta since I was little. 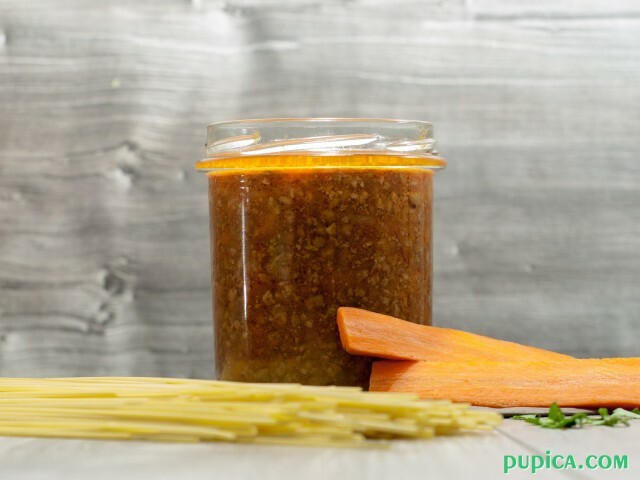 I remember that every time I went to Italy with my parents, they went crazy with me because spaghetti with ragu and tramezzini were the only thing I ate, not because I was a choosy eater, but because I really loved bolognese sauce. When I came to study here, I learned how to prepare it, but I don’t really know which recipe is authentic because I’ve read many recipes in the Italian cookbooks of “authentic” Bolognese sauce and most of them were different. Some use bacon, some sausage, different types of minced meat, with or without celery, I even saw somewhere a cup of milk on the ingredient list… well, I tried some of those recipes and sincerely they were all great, so I think that you can follow the basic recipe and then you can experiment with other ingredients to give your personal touch and make it just as you like. That one ingredient I love to add and you won’t find it in the “original” recipe is the nutmeg, just a pinch freshly grated nutmeg… Well if you try it let me know what you think. 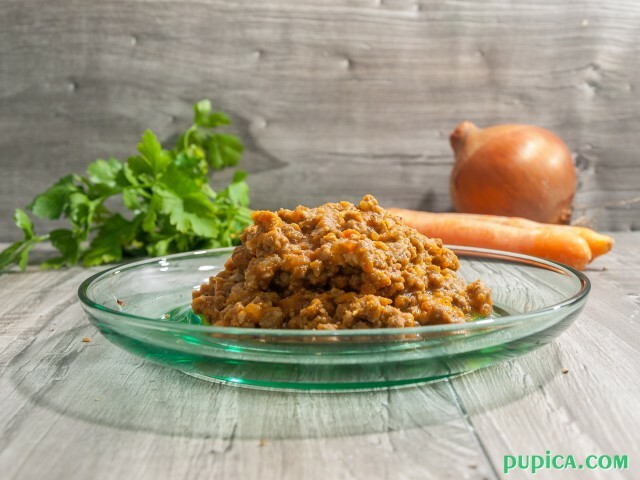 In the “original” recipe, it is recommended to use the high fat cuts of beef (fatty cuts are tastier), but you can use any cut and it should be minced beef and pork meat although I use only minced beef meat. Another thing that is different in my recipe is that I don’t use Mortadella (large Italian sausage made of pork meat). 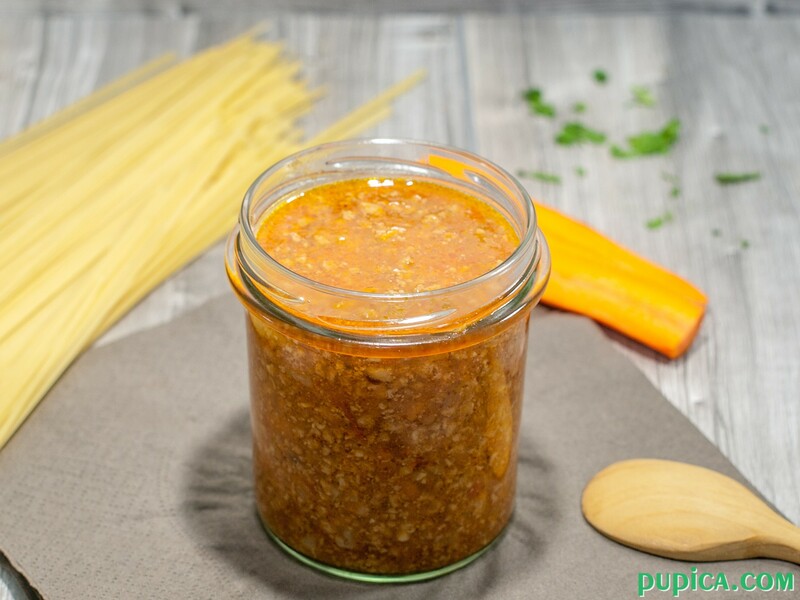 You will almost always see spaghetti with bolognese sauce although in the typical Emilia-Romagna recipe they use noodles, but I usually prepare it with spaghetti or even penne rigate. Enjoy your pasta and if you like let me know what you think about this recipe in the comments section below. 1In a large pot warm the oil and add finely chopped onions, carrots and bacon. Cook for 10 minutes. 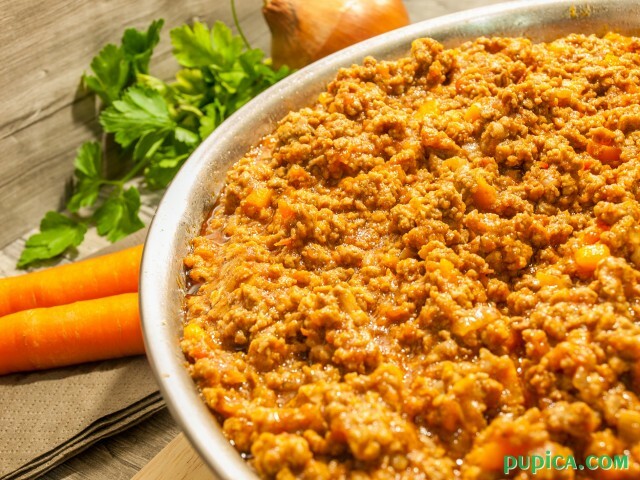 2Add the minced meat and stir constantly until brown. 3Pour the red wine and cook for 2 -3 minutes. 4Add the tomato sauce, pinch of nutmeg and the water. 5Cook over low heat for at least 2 and a half hours, stirring occasionally. 6Adjust with salt and pepper. If the sauce is too thick you can add more water. This sounds yummy, but can you tell what kind of tomato sauce to use, do you mean just tomato ketchup, or a spaghetti sauce that you get from the super market?